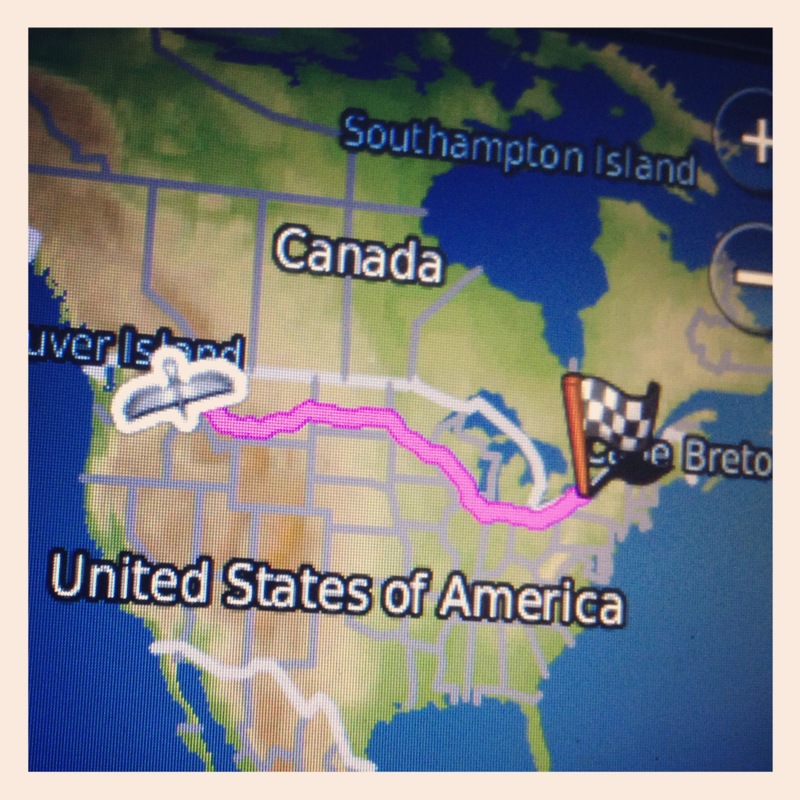 We’re two days into the four day trek across the continental United States. Right now, I’m writing from Madison, Wisconsin. The hotel window has an intriguing view of a store called “Menards,” which I’ve put together is a hardware store. My last blog (about traveling, not my usual self-righteous religious ramblings) was “Breaking Sad“—a post that explored the up and down emotions of leaving everyone you know and love behind. As a quick update, I have to say that once Megan and I hit the road our outlook changed. I’m excited. We’re both excited. FINALLY, right? Rochester, New York for goodness sakes! (And I never even say “goodness sakes”). I’ve been fantasizing about moving to the East my entire life. Yes, the West Coast is the “best coast;” it’s beautiful and has always treated me fair, but I’m an explorer at heart and the experience of the unknown is a need I crave. I’m back on the road, with the lady I love, exploring a brave new world. Best yet, it feels wonderful. Glad to be back! 1. South Dakota is a state full of road-side attractions. You’ll never see them all, and unless you have a week to spend in SD, choose wisely. To give you an idea, we passed up Mt. Rushmore, an 1880 town, a Corn Palace, and some auto-museum with the “Real General Lee.” What did we do in South Dakota? 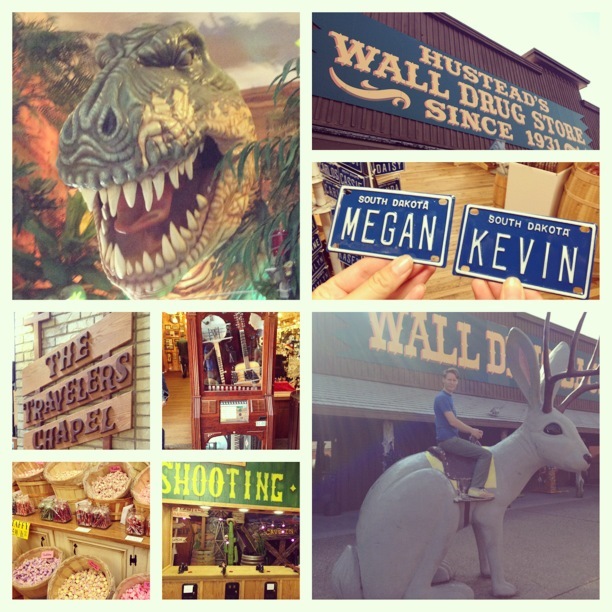 The Wall Drug Store! Duh. 2. We traveled through one of the largest gatherings of motorcycle enthusiasts in the US. Since our car was “loaded to the gills” (as my brother would say) and all my blind spots were magnified, my stress level was a little higher than usual. What’s the lesson here? Always Google your stopping points before you go! We could’ve traveled through North Dakota and missed the leather gang completely. 3. No matter who you are and who you are with, you’ll eventually run out of things to talk about. Megan found a great app that gives endless “conversation starters.” WARNING: They don’t always work. 4. Most of the I90, east of South Dakota, is corn. You think you’ve seen corn before? YOU HAVEN’T!!! Corn for miles, for days!!! Americans love and use of corn is both sickening and impressive. 5. Speaking of corn. If you stop at a gas station and see a grade labeled “E-85,” don’t assume it’s the normal low-grade. It’s 70% Ethanol and is not for every car! Good news, I only put in a half tank. Wall Drug Store, Wall, South Dakota. So awesome. Cleveland is the next stop! Any good tips for the city out there? We’re looking for a great local place to eat and maybe somewhere to explore. The Rock N’Roll Hall of Fame was going to be the main stop, but it’s a little pricy and who cares about the Rolling Stones? Glad to see it’s going well for ya. Been praying for your safe travel. Cleveland…well Guy Fieri (Diners, Drive-Ins, and Dives) has done five there. Looks like four are easy to get to: Melt Bar & Grilled, Parkview Nite Club, Lucky’s Cafe, and Momocho. Hope this helps and happy travels! If you’re going through Ohio – I hate traveling through Ohio – be aware you have to get off the highway to get gas, food, lodgings and then repay the toll to get back on. Ugg! and by all means avoid Chicago, IL if you can – if you can’t don’t go through it during rush hour. Dude, it’s the Rock N’Roll Hall of Fame! You CAN’T miss that! Why else would you go to Cleveland? I know! The main exhibit at the Hall of Fame right now is for the Rolling Stones. Which… I guess would be cool. Truthfully, I’ve never really been a big Stones fan. The HOF wasn’t in our budget anyways. That is a beautiful apartment. Rochester has some gorgeous old houses, many of them priced very low (at least when I was there 16 years ago). I don’t think I would be capable of passing up Mt. Rushmore.